Buon Me Thuot (DakLak Province) – a city located in Central Highland is a heaven of coffee. And the annual Coffee Festival in here is always a great event in year. 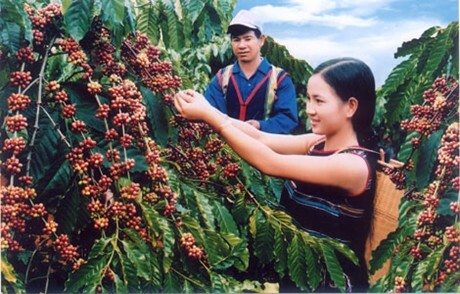 The 5thBuon Me Thuot Coffee Festival in 2015 will be held from March 9th to 12th 2015 with a lot of interesting activities. The opening ceremony will happen at 8PM on March 10th at Tenth of March Square. Plenty of programs and activities will be held during the festival, including trade fairs and exhibitions to introduce Highland’s coffee, coffee making competition, café streets, drinking free coffee, art performances from Central Highland’s artists, fashion show, seminars and workshops about developing coffee services, etc. Besides, a lot of interesting tours to visit coffee fields and discover coffee processing will be opened. The festival is not just about only coffee. It is a really remarkable chance to explore beautiful Central Highland with imposing natural sceneries and unique culture.